Description:Fast and easy felt clog slippers knit wiith double yarn. 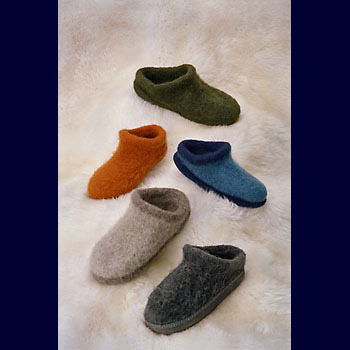 Designed to create a very thick, firm fabric when felted they feature double soles for extra comfort and longer wear. Size:Women's Sm, Med, and Lg and Men's Med and Lg. To fit show size up to women's 6 (8,10) and men's (11, 13). 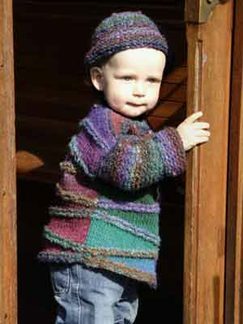 Yarn Requirements: Choose a worsted weight wool that felts easily to a firm fabric. 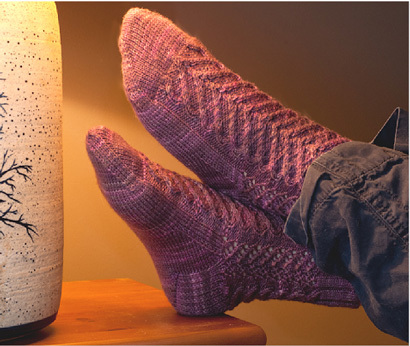 Clogs are knit with a double strand throughout. Other Supplies US Size 13 circular. GaugeUnfelted- 9 sts per 4 inches, and Felted- 12 sts per 4 inches.